*True 3D Lenticular Bookmarks have the option of full colour printing on the back. Add custom special effects to your marketing with unforgettable and eye-catching 3D Lenticular Bookmarks! Your marketing messages are sure to be read more intently, your logo looked at with more fascination, with these beautiful cost-effective and fun leave-behinds. Our special printing method allows for up to 3 images to appear on a single surface. 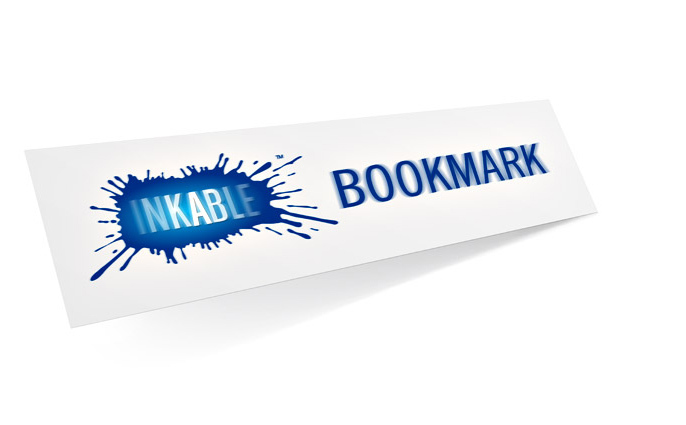 Perfect as practical and durable gifts (as well as impressive promotional products), Inkable’s handy 3D Lenticular Bookmarks are printed on high quality PET lenticular lens. As you twist the bookmarks and view them from different angles, images may seem “3D” and morphing or popping out from the surface of the bookmark. These are great kinetic promotional materials, perfect for useful INFORMATION DETAILERS, SAVE-THE-DATE NOTICES, BRANDED PRODUCT LAUNCH SOUVENIERS, TIMETABLES FOR MARKETING MEETINGS, HOLIDAYS, CHARITIES, FUNDRAISERS, or as a THANK YOU GIFT to cap off your goodie bag to liven up your event! We offer a variety of Lenticular Bookmark options suitable for every small business need. Before you order, make sure that you are getting the correct effect that best suits your artwork or messaging of your current lenticular print project. Inkable offers 4 types of Lenticular Effects; please take the time to read and learn about them so that we know we are printing what you need. Flip: Most simple of all lenticular effects, you supply us with two images to interlace into one lenticular image resulting in those two images flipping back and forth. Changes can be seen when the viewing angle is changed, and there is no smooth transition from one image to the other if using completely different images. With flip lenticular animation, remember that less is more! Zoom/Morph: Lenticular lenses are seen as horizontal grooves with this effect to create smooth transitions from one image to the other. You provide us with two images that are to be interlaced to produce multi-flip effects to make your images seem as if they are slowly transforming to and from one another. The two images (first and last) will come from you, and we will help create the middle, or “transition” images. Animation: This is the most complex lenticular effect, and involves motion samples. You supply us with either two or three images (in sequential motion, preferably master digital formats or beta cam footage for HD frames), and we develop a lenticular effect similar to the smooth movement of a video. It is literally holding a story in your hands. True 3D: Depth and perspective are two important benefits to this lenticular effect, capturing the realism of whatever image is to be featured with this specific effect. Most images and art elements can be applied to this style, and the illusion is absolutely convincing and spectacular. As the images in the 3D scene are to create a special “jumping out at you” effect, these lenticular bookmarks are a tad thicker because we will print and merge separate layers to create one “3D image” to be viewed at one time. We will use special digital processing and a different lenticular lens for these bookmarks. CUSTOM SIZES AND CUSTOM SHAPES: These are not available through our online system. For specific die cuts, hole punching, and unusual sizes, please use our Custom Order Form. Lenticular Bookmarks take printed designs to a whole new level in terms of excitement, lifetime value, and promotional messaging impact. Excellent out-of-home promotional items, “3D’” Bookmarks are dynamic and highly functional, and will most certainly be used from time to time because of their basic applications in the home or office, reminding prospects about your brand and highlighting your contact details and small business offerings and services while in use. If you have a vision but can’t do it on your own, hire a professional designer with good references and make sure to direct him or her to keep the design simple and impactful and include all the necessary “working” design parts. While unique fonts are great, don’t give the users of your bookmarks a hard time. Pick something that is legible so all texts can easily be read. Lenticular Bookmarks really do stand out, so don’t be afraid to inject some creativity when it comes to wordplay and lenticular effects. Make sure the design of your bookmarks follow the design of your branded marketing materials as closely as possible to aid in brand recall. Always remember to choose the best lenticular effect for maximum impact. With offset printed bookmarks, a colour shift of 10% is very common. This will be most apparent on artwork with solid color backgrounds. This includes the use of your official CMYK logo and brand fonts. Printing can sometimes make colours darker or lighter, so speak to your designer about this. Hand out bookmarks two at a time if you are sure you are positioned in a place where there is a high volume of prospective customers so people can recommend you easily to friends or business associates. Attach a bookmark to purchases by first-time customers if you are looking to do a loyalty campaign. Add your bookmarks to your marketing kit or goodie bag as giveaways at events, meetings, trade expos, or conferences.